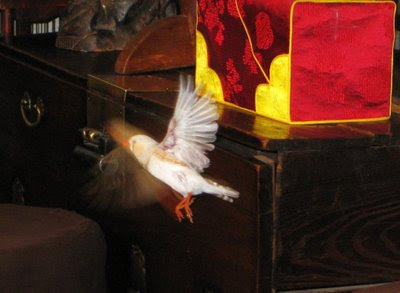 One of the flying birds in the Flying Bird Tea House in Insadong. Terrific pic. I hope the bird does not fly directly over the tea cups, though! That's a great teahouse. I try to go every time I visit Seoul.